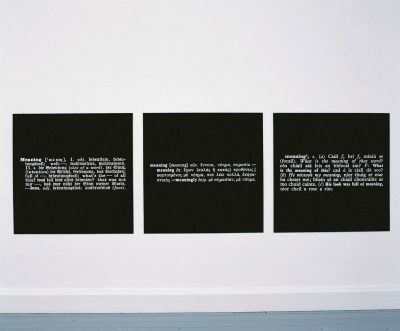 Guests and Foreigners, Rules and Meanings -SAY I DO NOT KNOW- is a 1997 work by Joseph Kosuth. It is not currently on display in IMMA. It is part of the IMMA Permanent Collection.